This page is in memory of some of those who worked with us and have now passed to a new plane of experience. JOYCE D. ORCUTT, 81, of Winchester, N.H. died Thursday, February 9, 2017 at Brattleboro Memorial Hospital, Brattleboro, VT after a struggle with cancer. Joyce was the long time pastor of the First Spiritualist Church of Willimantic and a highly respected medium and teacher in Spiritualist Churches, and each summer at the Pine Grove Spiritualist Camp in Niantic. She moved to New Hampshire some years ago but returned regularly to CT. Joyce taught four courses on mediumship and Spiritualism at Manchester Community College. CAROLYN 'LYNN' (WILLS) FILES entered into eternal peace on Sunday, November 20, 2016. Born in Billings, MT, she grew up in Denver, Colorado before moving to Connecticut. She leaves behind her beloved children, Wendy of South Windsor, and Aric of Windsor Locks; and close friend Pearl Lake of Willington. She was predeceased by her son Dirk and her sister Lee Cantor. A perpetual student of life, she opened 'Friendship House', a bookstore/learning center where people could gather, discuss, and take classes pertaining to self-help and aspects of spirituality. She was president of the Astrological Society of CT 1982 & 1983, and helped to expand the public's knowledge of astrology and its purpose as an educational tool. Her interest in healing brought her in contact with individuals renowned in their field. Lynn's warm and welcoming ways were appreciated by all who knew her, she will be remembered for her sense of humor, and her sweet and loving personality. She resided in Sarasota FL for over 20 years, but relocated back to CT last year. She had a passion for Christmas tree decorating, a gift she enjoyed sharing with her friends and family. She loved all of god's creatures and supported animal welfare. The knowledge, kindness, and generosity that she shared made the world a better place and helps to lighten the loss. 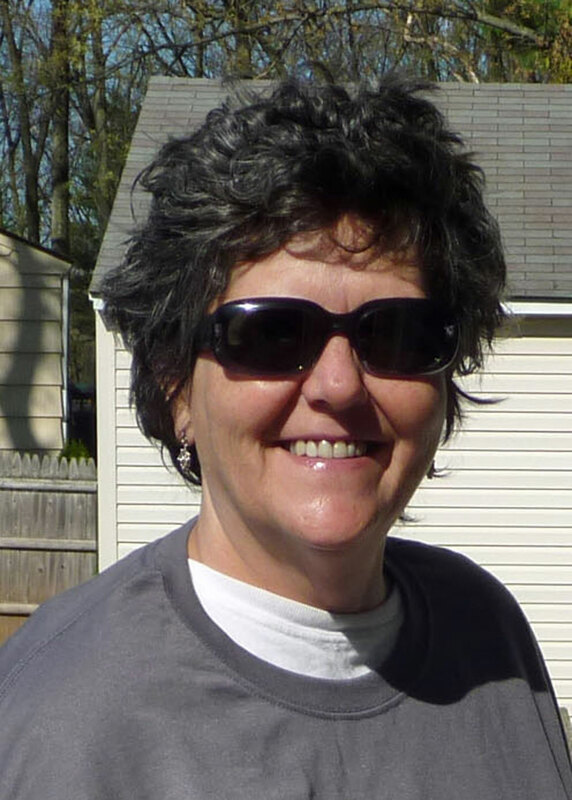 DENISE LABARRE, 54, of South Windsor left this world on September 12, 2015. She crossed over peacefully at her home, following a long illness. Denise was supported throughout her journey by loving family and friends. She will long be remembered by those who shared her life as a loving, vivacious, kind and courageous woman. Denise was one-of-kind. Many will recall that she was always ready to share a story or two, listen to someone’s troubles or lend a helping hand. Her ready smile and bright blue eyes will never be forgotten. She lived life with gusto, enjoying it at every turn and sharing it with those she loved. The children of her nieces, Ethan, Ella and Gia brought her tremendous happiness, and she relished the time spent with them. Denise lived a life full of ups-and-downs, yet she always managed to see the silver lining in any cloudy day. A life well lived indeed. She was simply the best. Denise was a massage therapist and a member of the Alliance For Holistic Living. She participated in many of the Alliance's activities and wellness fairs. Denise’s wish was that you take someone you love to dinner, enjoy each other’s company; and, perhaps, share some of your favorite memories of her as you raise a glass in celebration of her life. DOROTHY HELEN FLAGG, 66, passed over on February 15, 2015 with love and light and snow falling outside the window. Born in Maine and raised in Hartford, Dorothy was a longtime resident of Manchester. As manager of the Manchester Parkade Health Shoppe for 26 years, she touched the lives of 1000's of people. She loved art and nature, and to know her was to love her. Wherever she was there was always love and laughter, sunshine, optimism, wisdom and sparkle. Dorothy is survived by husband Richard Hervey, daughter Allison Goldberg, grandchildren Asa & Ishaia Goldberg-Berman, son-in-law, Adam Berman, & sisters Marilyn Flagg & Gail Flagg. WANDAKAY JOSEPHSON, 85, passed on December 27, 2014. She was born August 10, 1929 in Minneota, Minnesota to August and Nana Tryggvason Josephson. She was the widow of Howard R. Johnson. With a master's degree in education, she taught in the East Hartford School system for over 30 years. She was a member of Mensa, Eastern Star and the East Hartford theater group, Cue and Curtain. Wandakay was an amazing and influential woman, loved by many. As an elementary school teacher she guided kids. In her later years of teaching she was blessed with teaching the children of her former students. Her spiritual journey lead her into the metaphysical universe. She was a talented psychic, who worked at many psychic fairs for several organizations. She was the founder and pastor of the Fellowship for Love & Wisdom. Through the Fellowship, she led many more students on their spiritual journeys. She was one of the founding members of the New Age Guild of Connecticut. But above all she was a mother. She leaves behind 3 daughters, 10 grandchildren and many great-grandchildren. SHIRLEY GROMAN, 87, of Manchester and South Windsor, passed over on October 20, 2014 in Shelburne Falls, MA. Born November 16, 1926 she was a Weinberger at birth. Her husband Arthur Groman died in 1999. She leaves a son, Mark S. Groman of Fischers, IN; a daughter, Carole R. Groman of Shelburne Falls, MA; and three grandchildren, Christopher and Miles Groman and Sophie Groman-Baskowski. Shirley was active in the holistic community for over 30 years. Having used holistic modalities in her own healing she wanted to help others heal as well becaming a Reconnective Healer. She volunteered at Manchester Hospital and lobbied hard to get ECHN to add more holistic modalities. She was also a founding member of the Alliance For Holistic Living. Very independent, she was proud that for her 83rd birthday she made her first tandem sky dive posting the video on YouTube for all to see. At her request there will be no memorial. Shirley's wishes are to be cremated and in one year her family will scatter her ashes from an airplane. » Go to YouTube slideshow of Shirley's skydiving adventure. JUDITH K. WEBB, 73, of Ellington, passed away suddenly on May 20, 2014 at St. Francis Hospital, Hartford with her loving family by her side. Born April 8, 1941 in Detroit, Michigan, she was a daughter to the late William J. and Helen (Chase) Kayden. She was a respiratory therapist for 27 years with St. Francis Hospital, Hartford, and was a member of Unity of Greater Hartford Church in South Windsor. She was also a self-employed massage therapist and Reiki Master for many years. Judith is survived by her 5 children, 4 grandchildren, former husband and close friend Jerry Webb of Ellington, and her dog Sadie. KAREN ROSE AFFRICANO, 72, of Manchester, formerly of Tolland and Vernon, passed on April 4, 2014 after a short illness. She was the devoted and loving partner of Mederic "Med" Daigneaut. Karen was born on December 10, 1941 in Manchester, daughter of the late Howard and Estella (Demerritt) Cummings. She attended local schools, graduated MHS, Class of 1959 and earned her Associate Degree in Science from MCC in Certified Addiction and Grief Counseling. Karen's 30 year career in mental health and addiction disorders began as a counselor for the State of Connecticut Dept. of Corrections, a position she held for over eleven years. Since 2008 she was a counselor with the Hockanum Valley Community Council and served on the Board of Directors at the South Park Inn Homeless Shelter and Plimpton House in Hartford. In addition to her beloved Med, she is survived by her daughter, Crystal Affricano of Tolland, and her son and daughter-in-law, Ernest and Tonya Affricano and their children. Karen was a founding member of the Alliance For Holistic Living. SHARON GALE, 59, of Coventry passed away on January 5, 2014 at the end of her long battle with breast cancer. Sharon was self-employed as a healer, providing massage therapy, energy work, and acupuncture for over 30 years and was actively involved in supporting others in their battles with cancer. She was born in Manchester, graduated from Coventry High School and received training from the New England School of Acupuncture. She enjoyed hiking, playing cards, spending time with family, friends, and her dogs, Shelby and Kayde. Sharon loved, played, and enjoyed life to the fullest and is remembered as kind and patient, loving and grateful. All throughout her fight with cancer, and in spite of times of immense challenge, she held onto her positivity, generosity, and wonderful sense of humor. She is survived by her son, two brothers and a sister. » Visit Sharon's Facebook Page. PATRICIA A. MULREADY, M.D., 62, of Middletown passed away peacefully on July 23, 2013 at her home. Pat was born, May 17, 1951, and raised in Hartford; the daughter of the late Vincent T. and Marcella (Cignoli) Mulready. She resided in Hartford and more recently in Middletown. Pat was a graduate of the UConn, where she earned her Bachelor’s Degree in 1972, a Master’s Degree in 1974 and Medical Doctorate in 1991. We came to know Pat as one of the early holistic physicians in the Greater Hartford area some 20 years ago. At the time she was active in one of the initial holistic practitioner organizations. She became a pioneer in the use of nutrition in the treatment of addictions and mental illness. Dr. Pat, as she was fondly called, devoted her life to helping those with addictions, mental health problems, as well as spiritual issues. Always a giving person, she would assist anyone in need however she could and was good to a fault. Dr.Pat founded the Time To Live Better website, a development which came from her heart, grown from her life experiences, which she was so eager to share. Her holistic approach to medicine integrated nutrition, counseling and spirituality with conventional medicine. In addition, Dr. Pat was an author, and professor at numerous Universities, including the University of Bridgeport and the UConn Medical School. She will be fondly remembered by her loving family. » Go to Dr. Pat's Time To Live Better website. » In a June 6, 2013 video interview Dr. Pat discusses her background and her work in nutrition and addiction. The information included is an overview of healthy eating and her last gift to us. ALICIA M. STANTON, M.D., 48, of Longmeadow, MA, beloved wife of Robert M. Burns, entered peacefully into eternal rest on August 21, 2012. She was born in Buffalo, NY on December 29, 1963, to Aloysius F. and Virginia M (Owczarczak) Stanton. Alicia, a physician and author of two books, Hormone Harmony and Guide to Hormone Weight Loss, was an internationally acclaimed physician educator who lectured on hormone balance and weight loss. She practiced integrative medicine in Glastonbury, CT, and was board certified in obstetrics and gynecology and a specialist in preventative medicine and hormone balance. In addition to speaking in numerous cities in the United States, she was an invited guest lecturer in Portugal and Germany. She aspired to be a doctor from the time she was in kindergarten. She was diagnosed with breast cancer in June 2011 and shared the journey of her illness on Facebook, including photos of her during chemotherapy and even showing photos of herself with various wigs asking her followers for opinions when she suffered hair loss. She had several hundred followers who constantly commented on her open battle with breast cancer, her positive attitude, and the inspiration they felt in following her. In addition to her husband and parents, Alicia is survived by her sons, Eric M. Mau and Evan M. Mau and the boy's father, Andrew E. Mau. » Go to Facebook Page. STEPHANIE MUNLEY, 40, massage therapist and owner of the Healing Hands Wellness Studio in Coventry passed on September 24, 2011. She was born July 25, 1971, in Manchester, the daughter of Edward and Robin (French) Munley. Besides her parents, she is survived by her beloved son, Maximilian Xavier Munley of Coventry; her brother, Douglas Munley, and his wife, Kristi, and their daughter, Dahlia, of Willimantic; the father of her son, Raymond Luce of Rockville; and several aunts, uncles, and cousins. A special thanks to the nurses at Manchester Memorial Hospital cancer unit for all of their kindness and loving care. An additional special thanks to all of Stephanie's many, many dear friends who supported her throughout her illness. Stephanie loved the outdoors. She enjoyed kayaking, traveling, and gardening. She adored her beloved son and treasured all of her time with him. She loved spending time with her family and her friends. She was an amazing sister and a "best friend" to everyone. She lived life to the fullest, doing exactly what she wanted to do. » Go to obituary and guest book. » Visit tribute photo album under Memories => Photographic Memories. MARIE CORNELIO, owner of the Viewpoints stores in West Hartford, Manchester and Glastonbury, passed on May 5, 2011 in Avon. She was a pioneer in the Greater Hartford area providing one of the early gathering places for new age people. In her early 30's Marie held a management position with the former Olivetti Underwood Corp before becoming a successful realtor, being one of the first women named to the Million Dollar Club. In the early 1980's Marie started a new age center, the Tri-Self Clinic, at her home in West Hartford. In 1987 she opened Viewpoints, an eclectic book store that featured music, gemstones and jewelry next to Tapas on New Britain Avenue in West Hartford. She soon outgrew that and moved to West Hartford center and eventually Somerset Square in Glastonbury. While working at Viewpoints she published her first book "Gemstones and Color." Marie regularly hosted many workshops and popular area legends including Don Hayes, Margery Turcotte channeling Mathew, and favorite reader Pearle (Sinay) Lake. Marie proved to be a good business woman locating her stores in upscale shopping areas. She had a skill for decorating her windows and presenting her merchandise to attract the curious browser and thus introduced many to a spiritual world that might not otherwise have explored it. After retiring in 1994 she and Marty moved to Cape Cod and enjoyed year round living with family and friends. Marie enjoyed bridge and loved gardening and landscaping. She also had a special passion for the Fidelco Guide dogs. She is survived by her husband of 60 years, Martin, her son, Thomas "Tim" Cornelio of Southington; daughter, Paula Marie Cornelio of West Hartford; and two grandchildren. » Go to Hartford Courant obituary and guest book. NANCY CAFFYN, 75, passed away May 26, 2010. She was the mayor and then selectman of South Windsor in the 1970's before moving to Cape Cod where she became Head Selectman of Mashpee and then their State Representative. In 2000 she was named the Legislator of the Year in her last year at the State House. She was a very tough politician, but worked tirelessly against special interests and for her communities. Nancy was also a strong believer in holistic medicine. She was a lifelong practitioner of meditation and yoga, even bringing her children and grandchildren to practice. When she was diagnosed with throat cancer in 1998 she sought out alternative treatments. Working with Dr. Hulda Clark, a controversial naturopath, she traveled to Mexico for treatments and the cancer went into remission, such that a scheduled operation was unnecessary. She is featured in Clark's book and DVD "The Cure". Her oncologist said, "It's a miracle -- continue whatever you have done -- keep the treatment going." Nancy is quoted as saying, "I hope to encourage alternative medicine in the State of Massachusetts. I have also worked very hard to get other women legislators to support this and sponsor it and I think we are going to make great strides because what we need to do is give people an alternative choice prior to surgery, prior to radiation or chemotherapy because I have seen people have all of those and yet have tumors come back." » Go to Boston Globe obituary. » Go to Hartford Courant columnist Kevin Rennie tribute. ANNA WIEDELER, 54, of Windsor, passed on February 17, 2010. Anna was the Director of Inner Directions, a center for Holistic Physical Therapy and Counseling. Her path emerged from her studies, a combination of personal and clinical experience, spiritual practice and her encounter with serious health challenges. As a clinician and educator, she combined bodywork with process skills, and artfully integrated conventional care with advanced complementary techniques. This dedicated professional explored, taught and mentored in the area of conscious awareness, energy medicine, and their relationship to health and healing for over twenty-five years. A memorial service celebrating Anna’s graduation to the next plane was held Saturday, February 27 at The First Church (Congregational) of Windsor. It was Anna’s wish to have those in attendance abandon the black garments of mourning and instead, dress in vibrant colors which best represents the vitality and passion of her life. » Go to Anna's memorial biography. STEVEN GRADY, MD, 52, of Glastonbury, passed on January 10, 2010 in a traffic accident on I-91 in Windsor. Dr. Grady owned Connecticut Women Obstetrics and Gynecology, LLC in South Windsor where his practice used holistic approaches, including hormone balancing. Prior to opening his South Windsor practice he worked as an obstetrician and gynecologist in Manchester. Dr. Grady was a member of the American Holistic Medical Asso. and was a diplomat of the American Board of Integrative Holistic Medicine. » Go to Journal Inquirer obituary. RONALD WALPOE, 71, of Bloomfield, passed on April 30, 2009. Ron was active in many community groups and published several newspapers. He was instrumental in founding a number of singles groups, including Dance Hartford. His civic involvement included the Bloomfield Lion's Club and Rotary. Ron was a supporter of holistic health and took a strong interest in health fairs and education. He loved people and seemed to know everyone. Ron was a regular at the Windsor Holistic Practitioner breakfasts where he loved to tell stories. He was a true character in the best sense of the word. LINDA LEE WIGGIN, 49, of Poultney, VT, died unexpectedly at her home. Linda joins her beloved soul mate and husband, Michael Torre, who passed in 2003. Linda was best known in Connect cut as the aura photographer at fairs and expos, where she has been active for at least 15 years. With her aura camera she filmed in color and interpreted for clients. She was found on November 17 but was apparently killed on November 10, 2008 during a fight with her boyfriend David Denny, 41. He has been charged with Wiggin's killing. Linda earned BA and MBA degrees from Brandeis University. At the time of her death, she was a graduate student at the College of St. Joseph and planned to pursue a career in the mental health field. She was a talented and prolific freelance writer who published many articles on a variety of subjects. She also had several books awaiting a publisher. A gifted teacher, Linda was an instructor in the English Department at Castleton State College, where she taught Public Speaking and Writing Composition. » Go to The Rutland Herald obituary. » Go to Cape Cod Times article. » Go to Rutland Herald article. Nutrition counselor CHERYL O'DONNELL, 49, of Bolton passed on September 14, 2008. She was the owner of The Way To Wellness working with individuals and groups who wanted to make changes in their lives. Cheryl's life was often a challenge as she dealt with Chronic Fatigue Syndrome, Lyme Disease and cancer, but she took lessons from all of it and used them to help others. A celebration of Cheryl's life was held on September 18. Her friends, families and clients spoke of her sense of humor, the support she was always there to give and her love of life, no matter what it threw at her. She is a caring, gentle soul whose presence will be missed. BOB BLETCHMAN, 76, of Manchester passed in June 2008. He was a teacher, lawyer, mentor, poet and best known as an explorer and defender of UFO phenomenon. After considerable study he became convinced that UFO's were indeed real and became active with MUFON, the Mutual Unidentified Flying Object Network. He taught, wrote, lectured and appeared frequently on radio and television defending his belief in the existence of UFO's. In the 1990's Bletchman organized a symposium on UFO's at the United Nations to a sold out audience. He was also involved with many local issues and charitable organizations. » Go to The Hartford Courant article. Graphologist and numerologist R. MICHELE POULIN CLYDE, 81, of Manchester passed on March 17, 2008. Although not active publicly in recent years, Michele was one of the few handwriting readers in the area and read at many events. Life coach and workshop leader LORI WOODHOUSE, 45, of Suffield passed suddenly on December 17, 2007. Lori was the owner of Mindful Living Life Coaching and a member of Unity Church of Greater Hartford and led workshops there on stress reduction and Mindfulness Meditation. She was a dedicated practitioner and helped many in the community. A memorial celebration of Lori's life was held at the First Church of Christ Congregational in Suffield. In lieu of flowers, Lori's family requests contributions to Kripalu Center for Yoga & Health, Development Office, PO Box 309, Stockbridge, MA, 01262, or to the organization of your choice.